Business owners have plenty on their plates, and probably don't have time to keep up with the latest EPA regulations in regards to power washing. That's why it's important to hire a professional that is up to date on each local, state, and federal regulation involving the reclamation and disposal of the used water. For top-tier, EPA-compliant power washing in Waco and Temple, TX, call eSquared Asphalt Maintenance at 254-716-8685. What Does the EPA Have to do With Pressure Washing? The EPA has codes, such as the Right-to-Know Act which requires employers to post any chemicals that are being used in the facility including solvents and cleaners, that every business owner must follow in order to avoid fines and other repercussions. Additionally, they require that all pressure washer wastewater is reclaimed and disposed of properly. 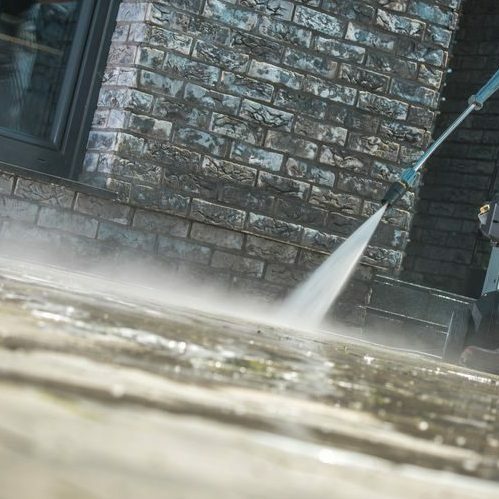 Unfortunately, the responsibility of following the laid out guidelines falls on the business owner instead of the pressure washing company which is why it’s imperative to hire a company that is up to date on all EPA guidelines and standards. Our professionals are trained and experienced in reclaiming and properly disposing of all wastewater in green, environmentally ways. Call our expert team when EPA code compliance is important to your business in Waco and Temple, TX. Our professionals realize the importance of following EPA standards when exterior or parking lot pressure washing, so our customers never receive fines or punishments. We utilize green cleansers and a state of the art reclamation system that provides an optimal collection of any wastewater. Our experts can assess your project and discuss your options with you, providing product details such as performance, cost, and compliance level. We provide realistic solutions to your cleaning job that fit any budget and can perform your cleaning project quickly and at your schedule. OSHA (Occupational Safety and Health Administration) code guidelines require that the exterior of your building is debris and buildup free to prevent slips and falls. Don’t risk safety noncompliance by skipping your cleaning due to new regulations. Call our professionals at 254-716-8685 for pressure washing that follows EPA code compliance in Waco and Temple, TX.